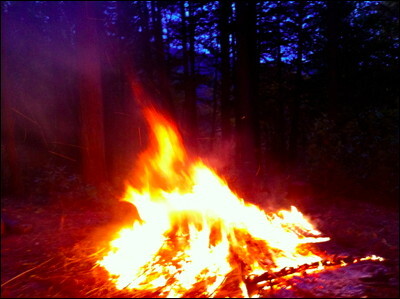 Bonfire on the ridge at Dragonfly Place in the Siskiyou Mountains of southern Oregon. These photos were taken on November 17, 2011. Next morning was the first snowfall of the season.